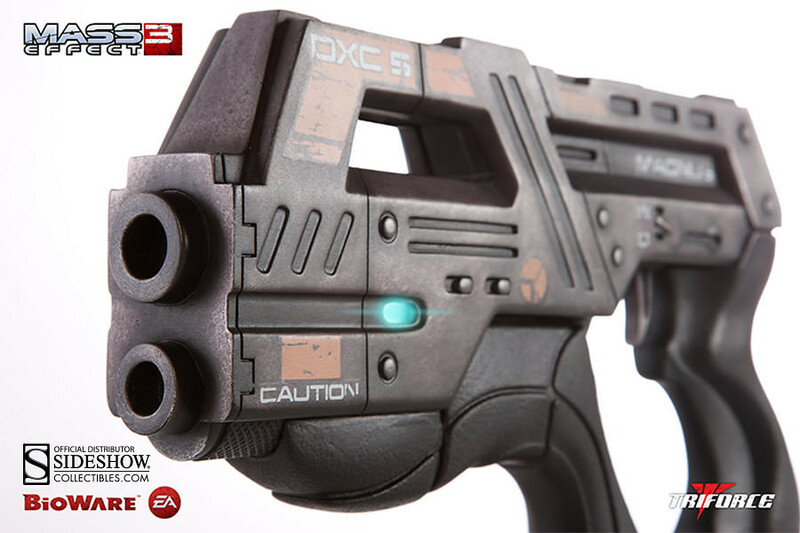 While we are on the subject of nifty (albeit expensive) collectibles, Mass Effect fans will be pleased to hear that they can soon get their hands on some serious gaming guns, in the form of the M-6 Carnifex and Geth Pulse Rifle. Handy as both a goodwill offering and threatening device, these now galactic guns are now available for the people of planet earth. Both these full scale replica comes complete with working light effects, so it’s time to ask yourself, “Don’t you wish Carnifex (or Geth Pulse) was at your side?”. Sideshow Collectibles proudly presents the Mass Effect 3: M-6 Carnifex Full Scale Replica, masterfully sculpted and painted by the artisans at TriForce. This authentic representation of the lethally accurate M-6 pistol is hand-finished and hand-painted to precision quality. Crafted and cast in polystone this powerful sidearm, favored by mercenary leaders and Eclipse mercenary tech specialists measures over 12 inches long, and weighs in at 7 pounds, with working LED light-up effects. Own this authentic piece of videogame history as part of a worldwide limited edition of 500 pieces! 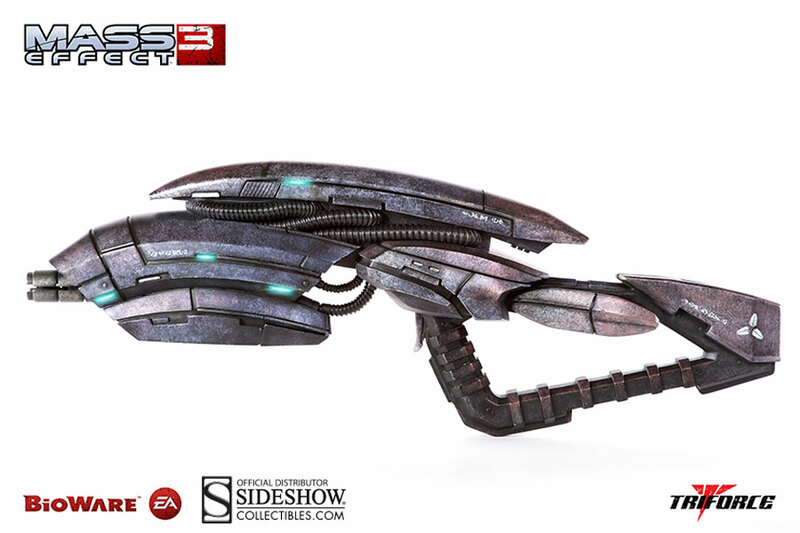 Sideshow Collectibles is proud to present the officially licensed Mass Effect 3: Geth Pulse Rifle Full Scale Replica, masterfully sculpted and painted by the artisans at TriForce. The end result is the most authentic representation of this weapon available on the market. The Geth Pulse Rifle Full Scale Replica is hand-finished and hand-painted to precision quality. Intricately crafted and cast in polystone, it measures 33 inches in length and weighs 20 pounds, and features working LED effects! Own this authentic piece of videogame history as part of a Limited Edition of 500 pieces worldwide. The replica weapons follow on from the release of the M-3 Predator, which though limited to 600 pieces is still available online. Although they are some seriously good looking pieces, they’re also for serious collectors; the Carnifex is set to cost US$399.99 plus postage and handling, while the Pulse Rifle is priced at a whopping US $749.99 +p&h. As an added note these are (for better or worse) only available in the United States, so we on the other side of the world can only look on, as our wallets breath a sigh of relief. 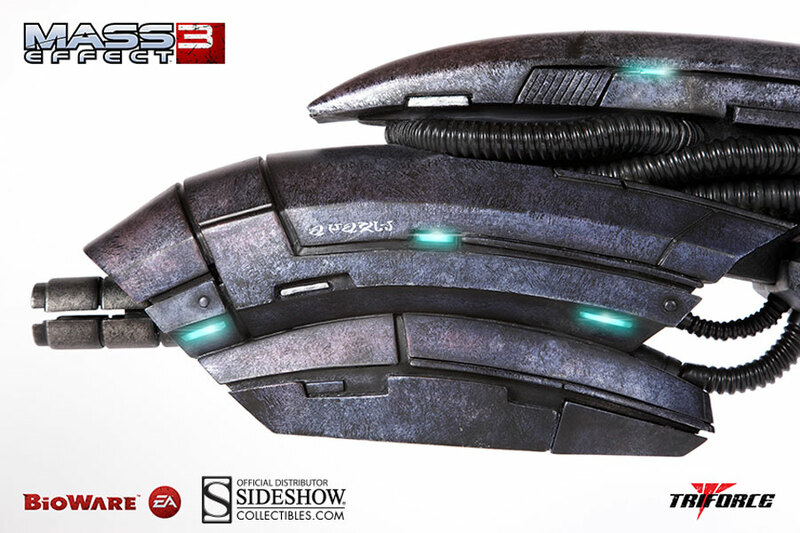 For more information, or to if you’re in the US and looking to preorder your very own piece of the Mass Effect universe, head on over to the Sideshow Collectibles website.